*WARNING* – Apple Store Gift Cards are NOT redeemable through Apple App Store & iTunes. This is NOT an Apple App Store & iTunes gift card. 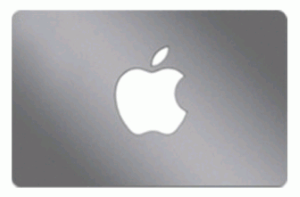 Apple Store Gift Cards can be used at an Apple Retail Store, in the Apple Online Store, or on the phone by calling 1 800 MY-APPLE. Got this gift card purchased and delivered electronically within 2 hours which I used to purchase item(s) off Canadian Apple store with no issues. Stellar service! Would use more again for certain! Speaking about service – extremely satisfied with how professional the responses have been to my inquiries, nothing but praise at this point.